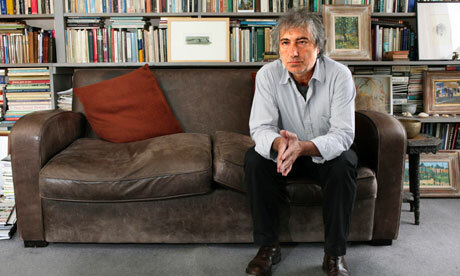 Adam Phillips is a leading British psychoanalyst whose books of essays sport such intriguing titles as "On Kissing, Tickling and Being Bored," "Monogamy" and "Missing Out: In Praise of the Unlived Life," in which he posits that instead of mourning the life we could've lived, we get busy enjoying the life we have. His most recent book is "Becoming Freud: The Making of a Psychoanalyst." In an interview in the Paris Review last spring, Phillips talked about his writing schedule. You are very productive for someone who spends four days a week seeing patients and two days at home with his family. When and how do you write? That’s easy to talk about, but difficult without either sounding precious or glib—because there is no creative process. I mean, I sit down and write. That is really what happens. I sit down in the morning on Wednesday and I write. And sometimes it doesn’t work and almost always it does work, and that’s it. Like everybody else, I sometimes have a problem starting, but it passes quickly. I sometimes get stuck and then I just abandon it. I don’t try. I’m not somebody who works hard at writing. I wouldn’t know how to do that. I wouldn’t know what to do, if you see what I mean. I just write until it runs out, and then I start again when I can do it again, but I do like to be able to do it regularly, simply because I love the experience of doing it. I love this "creative process!" Tanks for sharing!